Concerned about Russian influence in the Balkans, US lawmakers have tasked the Pentagon with preparing a report on Russian military cooperation with Serbia, Bosnia and Macedonia. Speaking to Sputnik, retired Serbian major-general Mitar Kovac explained that the US effort is but another attempt to pressure Belgrade against cooperation with Moscow. According to Balkan media, the Pentagon's report to Congress will likely contain a detailed list of Russian military equipment received by the three countries since 2012, information about joint exercises, and on any security agreements signed between Russia on the one hand and the three non-NATO member Balkan countries on the other. For her part, Sputnik Serbia contributor Mira Kankaras Trklja noted that for the most part, the report will likely focus on Russia's cooperation with Serbia, the largest and militarily most powerful Balkan state. 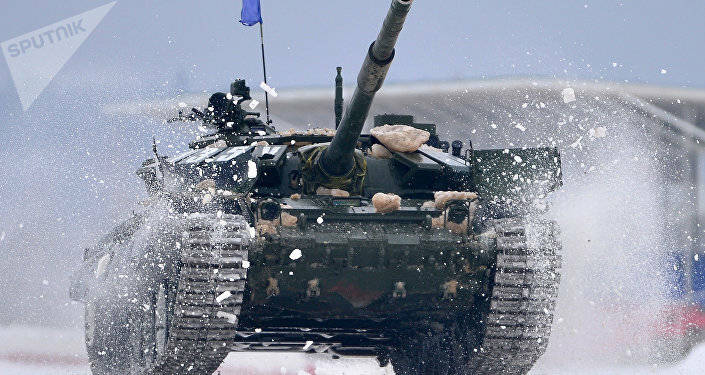 After all, the journalist noted, it's Serbia, and not Bosnia or Macedonia, that's getting supplies of Russian MiG-29 fighters, T-72C main battle tanks and BRDM-2 amphibious armored scout vehicles. And it's not those countries that stage regular joint military drills with Russia. Of course, the significance of Russian-Serbian military cooperation should not be overestimated, according to Sputnik Serbia. Russian military equipment deliveries are limited in scale, the MiG fighters require modernization, and the tanks and armored vehicles, while relatively modern, certainly aren't next-gen tech. Probably the only issue of any real concern for Washington is likely Serbia's efforts to receive access to modern Russian air defense systems. 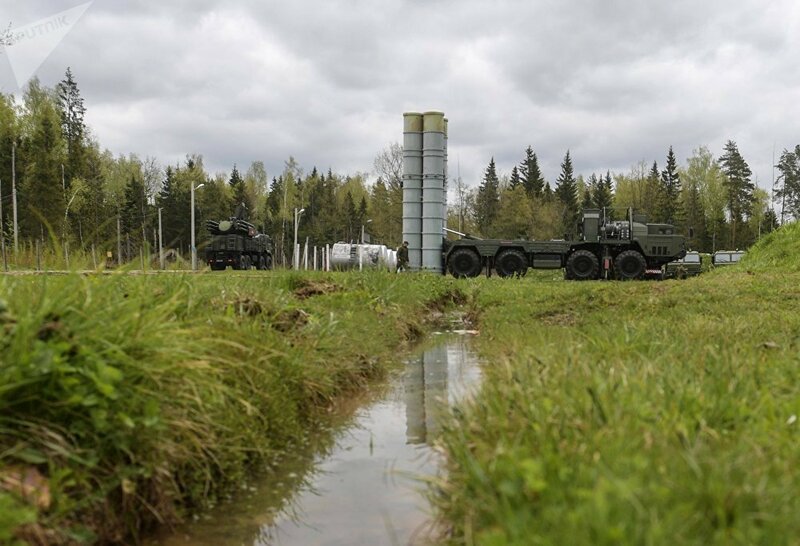 While no deals were officially discussed during the meeting between Presidents Putin and Vucic in Moscow earlier this month, Serbian military observers and the Serbian president himself have voiced their interest in systems including Buk, the S-300 and the Pantsir-S1. With these considerations in mind, Mitar Kovac, a retired Serbian major-general and professor at the Serbian Military Academy, believes that the Congressional report's main objective is to intimidate the non-bloc Balkan states. "Today, the US perceives the Balkans as a region where they have unfinished business, and are looking in any way possible to reduce Russia's influence in the region," Kovac said, speaking to Sputnik Serbia. Accordingly, the military observer noted, Washington is publically declaring their intention to 'closely monitor' the Balkan countries' ties with Russia, particularly after Montenegro's accession to the alliance. US intel collection activities will likely include classical political and military intelligence, as well as reliance on Serbia's pro-Western political parties and Western-funded NGOs. The fact that Russian-Serbian military cooperation is rather transparent makes Washington's interest in even this "symbolic level" of cooperation all the more absurd and problematic, according to Kovac. In fact, the retired officer noted, Belgrade would actually benefit from increasing its military cooperation with Moscow, to balance that which it already has with NATO. "There is a NATO mission in Belgrade, but it would be good to open a Collective Security Treaty Organization [CSTO] mission there as well. Then we could talk about achieving a level of neutrality sufficient for us to be equally open to both the West and the East," he said. For his part, veteran Serbian diplomat and former Yugoslav Foreign Minister Zivadin Jovanovic told Sputnik Serbia that the Congressional report should be seen as a warning to Balkan countries attempting to maintain some sort of balance in their policy toward the West and Moscow. At the same time, the impact of US pressure will be questionable, the expert said. "They can influence processes for the provision of financial or other assistance, using the IMF, the World Bank and other financial institutions," the observer explained. However, Washington's carrot and stick resources are not limitless, and it "can't stop the global trend of accelerated development of relations with states like Russia and China," according to Jovanovic. Ultimately, the diplomat argued that Washington's efforts will only provide non-aligned European countries with more reasons to pursue an independent foreign policy. "In fact, the US is pushing these countries into developing closer relations with states which Washington considers rivals or adversaries. Such a policy will return to the US like a boomerang," Jovanovic concluded.